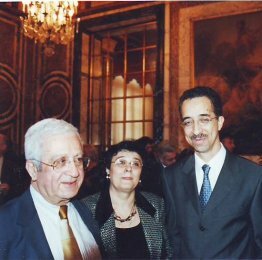 Cleopatra Lorintiu was a diplomat of the Ministry for Foreign Affairs of Romania at the Embassy of Romania in France, between 2002 -2006 during the mandate of Its Excellence Mr. Oliviu Gherman (2002-2004) and during the mandate of Its Excellence Mr. Sabin Pop, Ambassadors of Romania in France. 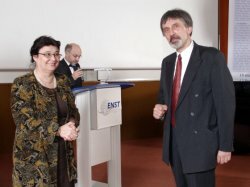 She was charged as a First Secretary for the Political Affairs, Press and Communications, attached to Education and Research, for Community life and the Romanians abroad. It took part in the many conferences, international conferences and with the activities of the Centre of the Foreign Press, Club of the Arab Press and Association for the Foreign Press. 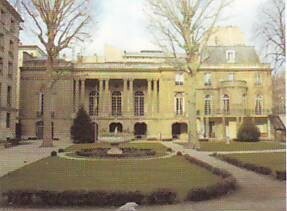 In 2003 she was invested in the promotion of a European program carried out by UNITER and supported in France by the Cultural Agency Lizarine. (La memoire des passeurs realized by Anca Berlogea and Dragos Galgotiu). The launching of film carried out by Anca Berlogea took place in the Great Reception Hall of the Palate of Bhéague (Salon d’Or) , in Paris, with the collaboration of François Xavier Tramond (Director of Lizarine Agency) . 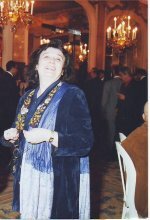 She organized the exhibitions of painting and sculpture of Radu Feldiorean (to the CAPE “Maison de Radio France “Paris , (November 2004) and of Mihai Bandac (February 2005) and the exhibitions of visual art to the Town Hall of Asnières sur the Seine with the collaboration of the Town Hall of Asnières on the Seine and Association Sever Dron. She participated of the activities of the Club Grande Europe, Foundation Ithaka, Europe 2020, Centre Europe, Paris Cellidea IPSE, and of the ENST Bretagne. 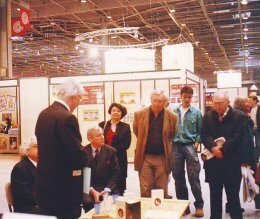 Congers of the Executives Romanians in Paris Club and the Council of for Romania in Paris. 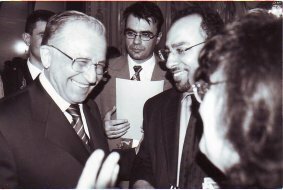 Consulting for “Studies of the audio-visual landscape and the public policies of the country “carried out by IMCA for the European Commission, Directorate-General Education and Culture, March 2004. She encouraged the relationship between French agricultural colleges, universities, center of IFAID Bordeaux, catholic education and Romanian partners.